This snack was very quick and easy to make. You could also glam it up by sprinkling the almond bark with sprinkles. I found the original idea on Pinterest! Line a large jellyroll pan with waxed paper. Melt a few squares of almond bark in microwave-safe bowl, according to package directions. Break several pretzel rods in half and place on the waxed paper, spacing them out so you can add another pretzel rod to make a cross. Put a dollop of melted almond bark in the middle of each of the half pretzel rod pieces. 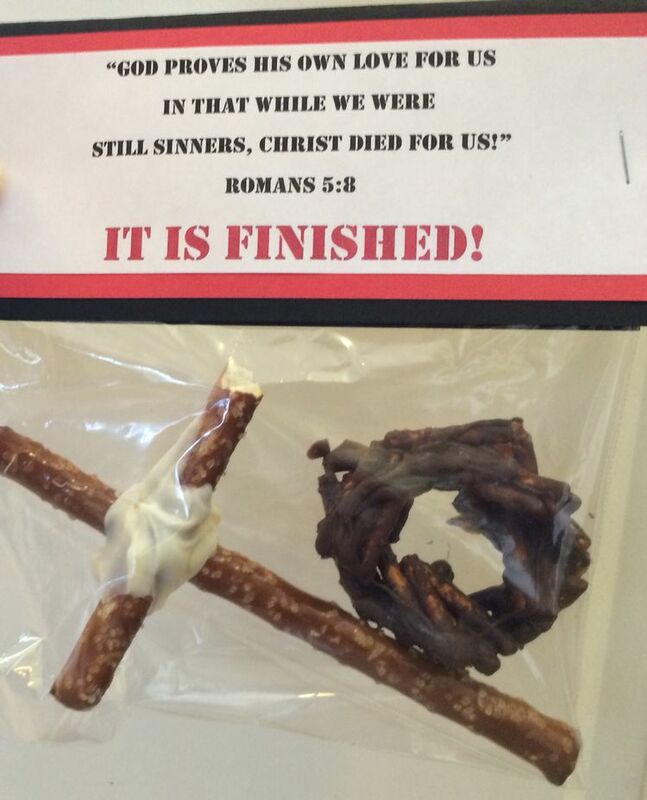 Lay a full pretzel rod over the half piece, on top of the melted bark, making sure that you form a cross shape. Place pan of pretzels in refrigerator to harden.